The Race 4 Eight V has sparked the interest of Ireland’s top 4 Senior stars, as Paul Brady, Robbie McCarthy, Diarmaid Nash, and Killian Carroll each entered the R48 V Stop #1 at the Simple Green U.S. Open with plans to attend the majority of Race 4 Eight V stops this season. The only member of Ireland’s “Big Four” entered in the Tucson Race 4 Eight Memorial/Junior WPH Benefit is 2015 World Champion Singles Finalist Killian Carroll. Known for his speed, tenacity, and impeccable fundamentals, this Tony Healy protégé enters Tucson as a qualifier, meaning he could draw Sean Lenning, Emmett Peixoto, Mando Ortiz, or any other member of the R48 top 8 in the opening round. 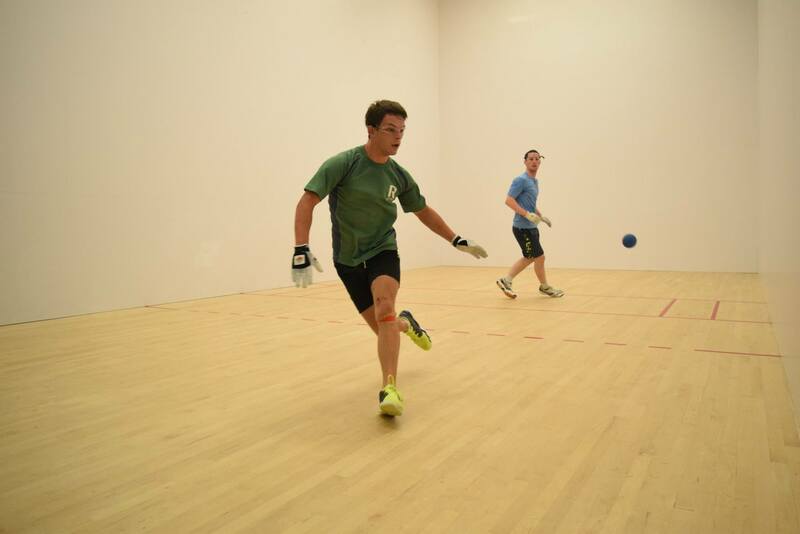 Carroll has been one of handball’s top players in the past 18 months, amassing titles and high finishes in handball’s biggest events in Ireland and North America since May of 2014. An injury sidelined Carroll in the first half of 2015, causing the Cork man to miss the prestigious All Ireland Championships, but Carroll bounced back late in the summer, entering the World Championships as the #7 seed and defeating 23-and-under World Champion Martin Mulkerrins in the round of 16, R48 #2 Luis Moreno in the quarterfinals and countryman Diarmaid Nash in the semifinals before losing to 5-time World Champion Paul Brady in the final. Carroll’s resume rivals any player outside of Paul Brady since the spring of the 2014, with undefeated head-to-head records against several of the giants of the R48 tour.